Hi Friends! I'm so happy to be linking back up with Teaching Trio for my Sunday Scoop! I haven't linked up in for what seems like forever! 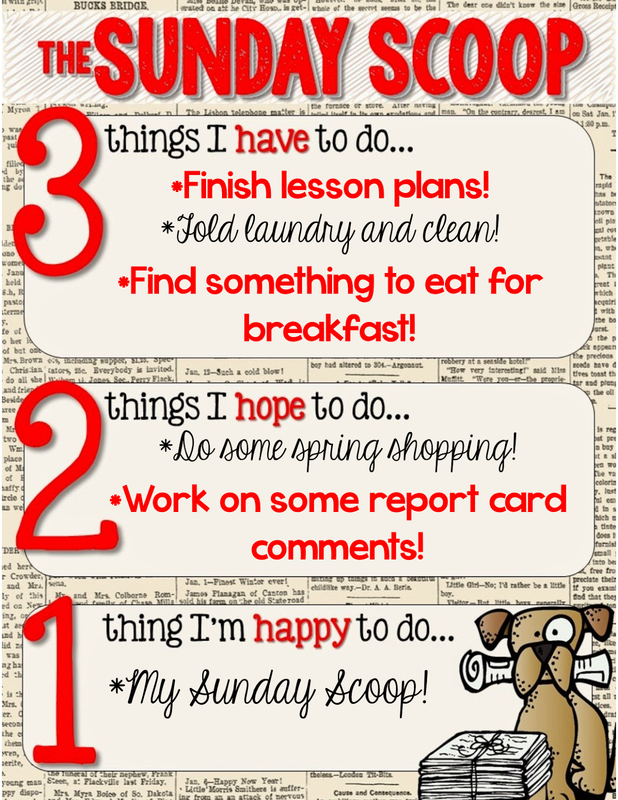 3 things I have to do: *I have to finish up some of my lesson plans! Here is a little peek at what we are doing: Math - We have been working on addition! My kids are doing really great with it! 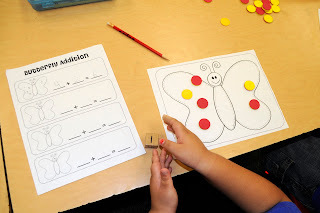 I'm planning to use this adorable "Butterfly Addition" freebie from Mrs. Ricca's Kindergarten - check out her blog for some awesome ideas! You can find the freebie by clicking the picture below. Reading - We are working on comparing information in books and identifying the characters, setting, and events in stories. Social Studies - Maps and Globes! My kids are loving this! The first day we talked about maps and globes, one of my students chose to write about a globe at the "Be an Author" center. "Be an Author" is just my fancy word for writing center. Writing - Information writing! We have been working on "how to" books. My kids are writing everything from how to build a snowman to how to make a bowl of ice cream! Love their ideas! *I have to fold laundry and clean!! Already told my husband it will be a busy day of cleaning! *I have to find something to eat for breakfast! Since I started typing this, my husband is busy in the kitchen cooking breakfast. So sweet of him! 2 things I hope to do: *I hope to do some spring shopping! Seems like there are some good sales out there right now. Plus, I want to check out Target's dollar section and see what they have. *I hope to work on some report card comments. Whenever I work on comments ahead of time, it definitely helps when I actually sit down to do my report cards! 1 thing I'm happy to do: *I'm happy to link back up with my Sunday Scoop since I haven't linked up in awhile!! Have a fabulous week everyone! !